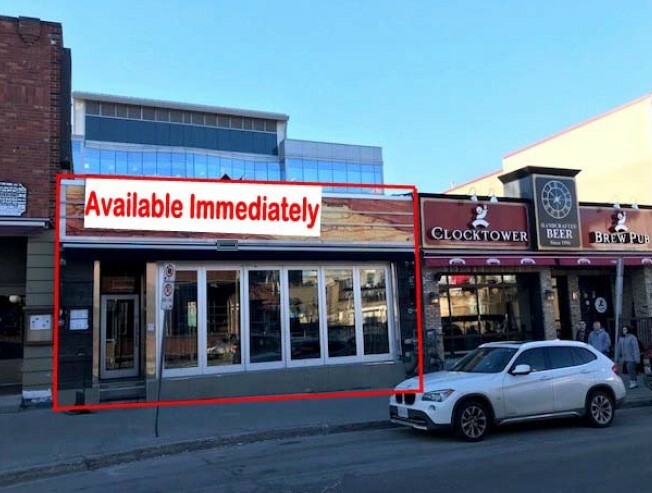 Brent Taylor at Brentcom Realty Corp. is marketing for lease a fully fixtured restaurant with patio area in Ottawa’s Byward Market. Located at 87 Clarence St., the 3306 square foot street front unit is between Dalhousie St. and Parent Ave. and features high pedestrian and automotive traffic and is surrounded by many amenities including the Rideau Centre, Shaw Centre, Rideau Canal, Chateau Laurier, along with boutiques, restaurants and nightclubs. The unit has about 25 feet of frontage. An additional 1401 square feet of basement space is also available. The space is suitable for restaurant or retail uses.